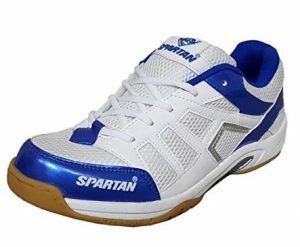 Good volleyball shoes will help to avoid accidents/pains and to maintain balance and posture. Characteristics of a good volleyball shoe (or any other sports shoe) includes durability, grip, flexibility, comfort, light weight and good ventilation. 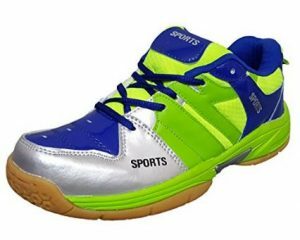 Shoes for playing volleyball are available for men, women and kids. 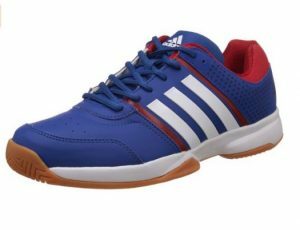 You can get specifically designed volleyball shoes from top brands. 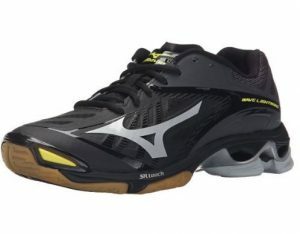 Differentiating component of a good volleyball shoe is the use of gum rubber sole material. This type of rubber has good traction in indoor court and shoe will not slip on floor. And these shoes have excellent shock absorption abilities. This will reduce impact on knees and toes while jumping, diving and landing. You can notice a forefoot pivot circle in high quality shoes. It will provide extra comfort while turning and jumping. If you are shopping from a local store- shopping at evening time will enable you to get best fitting shoes. Because at evening your toes will be a little swollen than in morning due to walking. 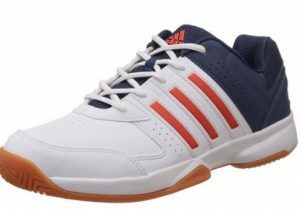 If you are playing volleyball occasionally, and you are involved in with other sports like badminton, football, cricket etc you may go for multi-sport shoes. Note: when choosing branded shoes online, take special care to avoid fake products. Buy from trusted sellers or brand itself. Following is the review of top selling volleyball shoes, so that you can find suitable one for you. Made with synthetic material, this shoe has a casual design and comes with a warranty of 3 months. 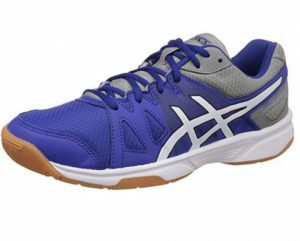 This multisport shoe is made with mesh material in a Casual design with lace up. Mesh material being loosely woven or knitted fabric will give excellent ventilation during sports activities. You will get warranty of 3 months from company for manufacture defects. Made with synthetic material in casual design. Comes with manufacturer warranty of 3 months. 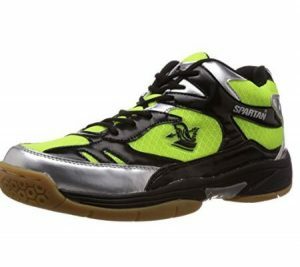 This is a light weight volleyball shoe from spartan brand. Comes in a colour combination of light green, black and silver. Made with textile/synthetic material and rubber sole. Have good traction and is durable. Outer material is synthetic and Inner parts are made with cotton.